Caltex, marketed by Chevron Philippines Inc. (CPI), closes 2018 with strong growth in its retail business. Continued expansion and successive openings of new fuel stations across the country brings the company’s nationwide retail network to more than 600 stations. CPI opened a total of 29 new service stations in 2018, an average of two openings per month. To serve more Filipinos, many of these new stations are located in areas where access to top-quality fuels was limited. 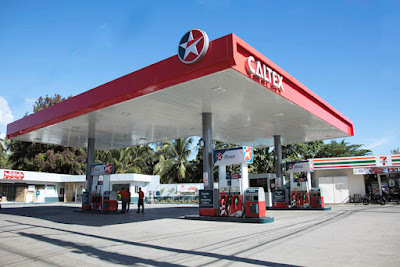 The newly opened Caltex service stations are likewise spread across the country, specifically in key growth areas such as southern and northern Luzon, Palawan in Visayas and Cagayan de Oro in Mindanao. The retail expansion makes high-quality, Euro 4-compliant fuels from Caltex more accessible to Filipinos all over the country. Further, with the gas stations strategically located and improved to satisfy growing consumer demand for convenience, most of these newly-opened sites have locators which are ready to not only fill their fuel tanks, but also their stomachs with over 100+ 7-Eleven convenience stores. 2018 was particularly challenging for both motorists and oil companies, with oil prices rising in line with the implementation of the Tax Reform for Acceleration and Inclusion (TRAIN) law, developments in the Middle East, and inflation. Despite the influx of new players and greater market competitiveness, Caltex remains one of the top players in the industry. The company made it a priority to cushion these fluctuations for Filipino motorists through PUV discount lanes, fuel rebates through loyalty promos, and by supporting the Department of Energy’s Pantawid Pasada Program. “This steady growth in our retail expansion efforts across the country is a testament to our determination to rise above the challenges and to bring high-quality, Euro 4-compliant fuels to more Filipinos. We have also managed to cater to motorists’ other needs by giving priority to convenience shops and tying up with non-fuel brands to offer more goods and services as part of our value proposal,” CPI Country Chairman Louie Zhang said.